We call them ITW mothers. We call them this because they have had their ultrasound scan because of the ITW program. It always touches our hearts to see both mother and baby thriving. ITW Mom and her beautiful 18 month old baby. 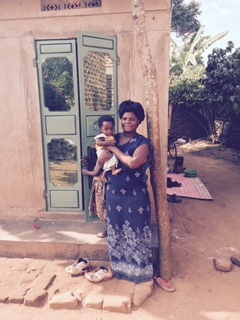 Proud ITW mother stands outside clinic with her young healthy baby.